We’ve all got adventure running through our bones, even if we rarely have an opportunity to act on all the explorative impulses that we might have. And, in a world so filled with ancient history and innumerable exotic peoples, who is to say what astounding artifacts are still awaiting discovery? We know that they’re out there, especially since the field of archeology is just brimming with academics who clearly have a devious glint of eager discovery in their eyes. Of course, we can blame some of that excitement on the most notorious of archeology professors, Dr. Henry Walton Jones, Jr… better known (and certainly preferred) as Indiana Jones. Wielding a bullwhip, his iconic fedora, and his adventurous safari-style clothing, the original tomb-raider leaves his tweed suit behind to become a purely natural hero who saves enslaved kids, ancient artifacts, the very world itself, and, of course, his hat from terrifying disasters… and still manages to get to his lectures on time! It is time to inspire your tykes and send them on their own adventures. We’ve made it easy with the classical look in this Deluxe Child Indiana Jones costume. 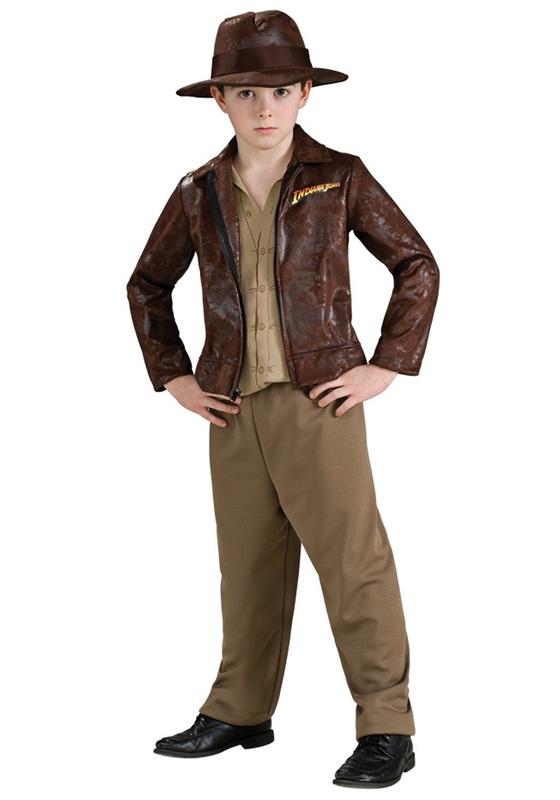 Made of comfortable polyester, the tan safari-style tan shirt has printed pockets and buttons and fits nicely under the brown zip-up jacket. Add in the matching brown adventure trousers and, of course, the iconic Indiana Jones hat and the call for adventure will be coming post-haste. Just be sure that any ancient relics your kiddo comes upon are brought quickly to the museum where they belong. We wouldn’t want another opening of the Arc to happen!